Parkland Village is a unique neighborhood featuring carefully designed and quality constructed homes in a beautiful setting. Located in Faribault, Minnesota, just 25 minutes south of the Twin Cities metropolitan area, Parkland Village is part of a dynamic, growing community situated at the confluence of the Cannon and Straight Rivers. 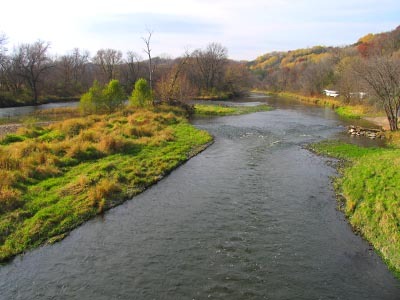 Our community enjoys the advantages and conveniences of being near a major metropolitan center while providing the livability of small town Minnesota against a rich historical backdrop. 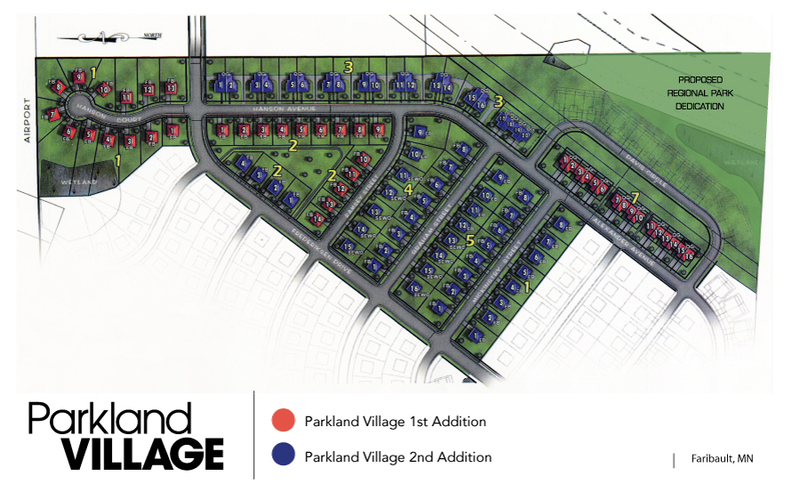 Parkland Village consists of 96 single-family and multi-family home sites with additional home sites to follow. The architecture of Parkland Village will showcase modern floor plans and classic exterior styles including Colonial, Arts and Crafts, Tudor and Farmhouse. A connection to the outdoors will be accentuated with an emphasis on patios and porches. Tour all of our designer-decorated models and experience the craftsmanship and quality of our builders. Whether you’re buying your first home, ready to move up to a larger home or looking to build your retirement home, Parkland Village has something for everyone. Parkland Village, LLC is a owned by a local real estate developer and is part of a family of organizations devoted to fulfilling the dreams and visions of our clients. We continue to grow and expand our focus on customer service and client relationships. We are committed to improving the lives of our clients by providing an affordable high quality residential community development. We believe through integrity, honesty, clear communication and follow through we will gain the complete trust and confidence of our clients.